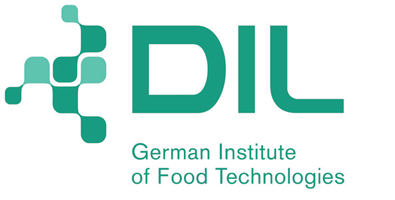 Food Generator Track is a competition which challenges Master or PhD students of 3 Universities to develop new, innovative solutions for and from food losses of production facilities and retail activities. The proposed waste streams are bread, bananas and potatoes, which still have significant potential for use within the context of innovative food solutions. Multi-disciplinary teams of 6 students will tackle these problems. Each group will be challenged to create new business cases for each of the food waste streams, with high commercial potential. They will be supported throughout by experts from the food industry, retail and university who will act as advisors to ensure valid and realistic “solutions” are developed. The teams have approximately 10 months to work on their cases. During this period there will be several intermediate meetings, workshops and evaluations with the groups. The Food Generator Track ends with a competition between the participating teams. FOODIO was a challenge-based learning programme. It has been a novel way of creation of new food solutions for future innovation and highlights the modern way of teaching by creating together. FOODIO, Food Solutions Master Class, was a multidisciplinary, challenge-based learning programme for bachelor, master and doctoral students, working together with professors, researchers and professionals. FOODIO was conceived to educate in an international environment, connect business and academia, and stimulate for the creation of new food solutions for future innovation. During 2018, five academic institutions and three business partner organizations guided forty student participants (10 students from each of partner countries to make a total of 40 students) in the one-year study module to generate ideas for new solutions to exploit plant-based side streams. FOODIO participants got understanding of challenge-based problem solving, using experimentation and design thinking tools, developing team working skills and accessing new networks. The challenge included direct interaction and collaboration with food industries and end-users, to transform an idea into a real new food product with impact on sustainability, society and economy. Students (bachelor, master, and doctoral levels) were eligible if enrolled at the University of Helsinki, University of Hohenheim, Technion - Israel Institute of Technology, Universidad Autónoma de Madrid or Spanish National Research Council (CSIC). The FOODIO program offered unique kind of learning environment for students. The students did hands on product development with real industrial cases in which students and academic and industrial mentors collaborated on real-life challenges. The FOODIO educated selected, multidisciplinary students of bachelor, master, and doctoral levels to become future food professionals with international, co-creation, business, and problem solving skills. The FOODIO program also responded to the EIT Food strategy on providing healthy and sustainable food for consumers. The FOODIO helped advance healthy life-style in Europe and sustainability of the food chain. This activity took place in 2018. Project Mid-Evaluation, On-line: April 25, 2018 13:30-16:30 (EET) (All teams made a presentation about the progress in their new product development process, they answered the questions from judges from academic and industrial partners and take a feedback on their current phase of study. They moved forward accordingly. Project Final: December 12-13, Madrid 2018 (All teams presented their final product to the judges and the winner team has been chosen, projects have also been evaluated for the EIT Food Business Creation’s Innovation Prizes. 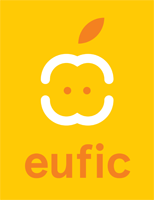 The FOODIO program was directly linked with the EIT Food strategy on connecting education and innovation within the Pan-European network. This was achieved by an education programme in which students and academic and industrial mentors collaborated on real-life challenges. The FOODIO educated selected, multidisciplinary students of bachelor, master, and doctoral levels to become future food professionals with international, co-creation, business, and problem solving skills. The FOODIO program also responded to the EIT Food strategy on providing healthy and sustainable food for consumers. The FOODIO had been expected to advance healthy life-style in Europe and sustainability of the food chain. 5) Developed multidisciplinary group working skills and access new networks. The food sector is undergoing dramatic changes fostered by global challenges such as growing competition for resources, a rise of the global population, and changes in demographics and consumer behavior. To date though, the sector is not well prepared to address these challenges. There is a lack of knowledge on how to effectively create integrated value networks that can come up with new solutions to the above stated challenges. An increasing integration of previously unconnected and fragmented actors is needed to bring in new scientific breakthroughs and technical developments under the consideration of socioeconomical aspects. In this SPOC we thus intend to introduce participants (professionals and students) to the notion of Food Systems, a new concept facilitating the description, smart design and optimization of complex integrated value creation networks in the food arena.